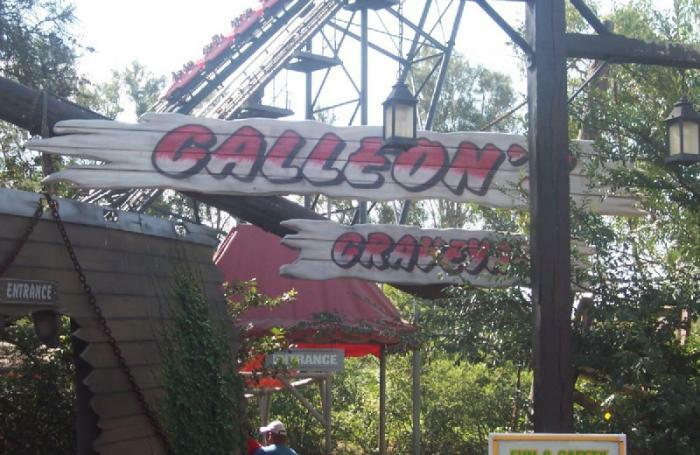 Galleon's Graveyard was in principle a chain carousel, designed in a new way. It consisted of a telescope type center column. The cabins stood on the ground for loading and unloading. After loading, the telescope column was lifted up slightly and the "turning star", to which the cabins where attached via cables, started to rotate. While it rotated, the telescope column was lifted up approx. 3 m above ground level. The rotation speed was adjustable. Sold and removed after park closure, current whereabouts unknown.